A live variety show featuring Woodside’s best talent! In late August 2019, PARADE will present a live variety show directed by artists Jaimie Warren and Matt Roche, known as “Whoop Dee Doo,” with local youth and community groups. Using Windmuller Park and Bandshell as venue and inspiration, the project celebrates this heavily-used public space and shares the diverse cultures of its regular visitors with the people of Queens. Hosted by a tired werewolf and talking can of soda, the show will connect audiences with local groups such as fencing school students, a jazzercise class, Tibetan chanters, track runners, and dog lovers. PARADE is partnering with local organizations and schools to recruit an ensemble of Woodside youth, to work alongside Whoop Dee Doo artists to shape the themes and structure of the show, which will include original dialogue, movement, visual art, and soundscapes. Local arts groups and park users will be invited to contribute “acts” to the show, introducing their passion and culture to an estimated audience of over hundreds of people throughout the event. As a result, the project will connect diverse yet often isolated populations in this neighborhood of over 45,000 people through the artmaking and performance. 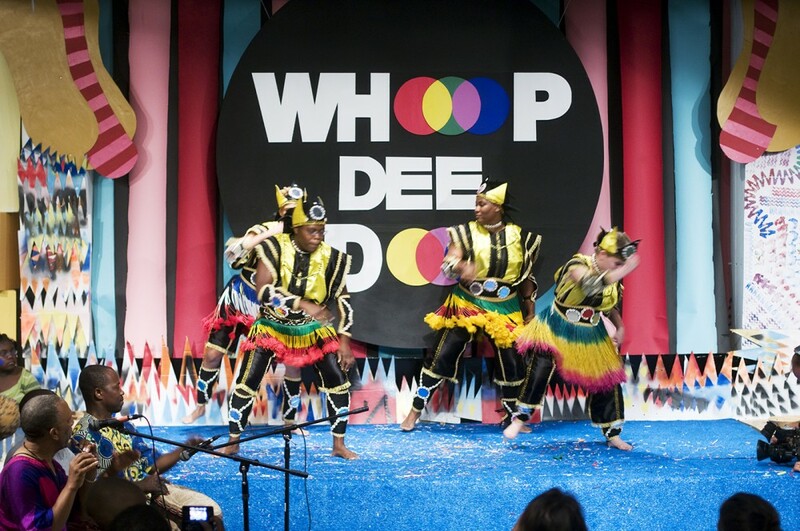 Whoop Dee Doo is a traveling, artist-led project that creates ambitious installations and live performances internationally, generally through universities, festivals, arts organizations, and museums. Each project and accompanying programming are uniquely crafted to fit the needs of the organizations with which we partner, engaging their immediate communities. We work closely with underserved youth groups to research, conceive and create our projects. Our process emphasizes collaboration, encourages respect for diversity and seeks to initiate a cross-generational and cross-cultural dialogue. Learn more about Whoop Dee Doo at www.whoopdeedoo.org. To learn more about participating or sponsoring The Windmuller Project, contact Nancy Kleaver at nancy@paradenyc.org or (917) 842-5843. This program is made possible in part by the Queens Council on the Arts with public funds from the New York City Department of Cultural Affairs in partnership with the City Council.